Microsoft has scheduled a surprise event on Monday in Los Angeles where it will make a "major" announcement. The company didn’t reveal what exactly will be covered, but many are expecting it to show devices running Windows 8 as well as highlight some of the apps and services that will run on them. In what would be a rather atypical move for Microsoft, reports at TheWrap and AllThingsD citing their own separate sources suggest the company will actually announce a move to enter the tablet business more directly, designing both the hardware and software in an effort to better compete against Apple. 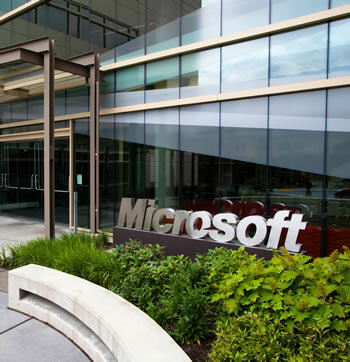 Microsoft-branded tablets may include both ARM-based as well as x86-based models. Microsoft usually leaves device announcements to device makers and focuses on software. The move could allow it to match Apple’s tight integration and achieve higher quality levels, but on the other hand it also has the potential to anger the long list of hardware partners readying Windows 8 tablets. ZDNet's Mary Jo Foley speculates that Microsoft could also announce a smaller tablet that could compete with Amazon's Kindle Fire rather than Apple’s iPad. After all, the company has been hinting at some kind of “reading” device and recently made a $300 million investment in Barnes & Noble's Nook business.